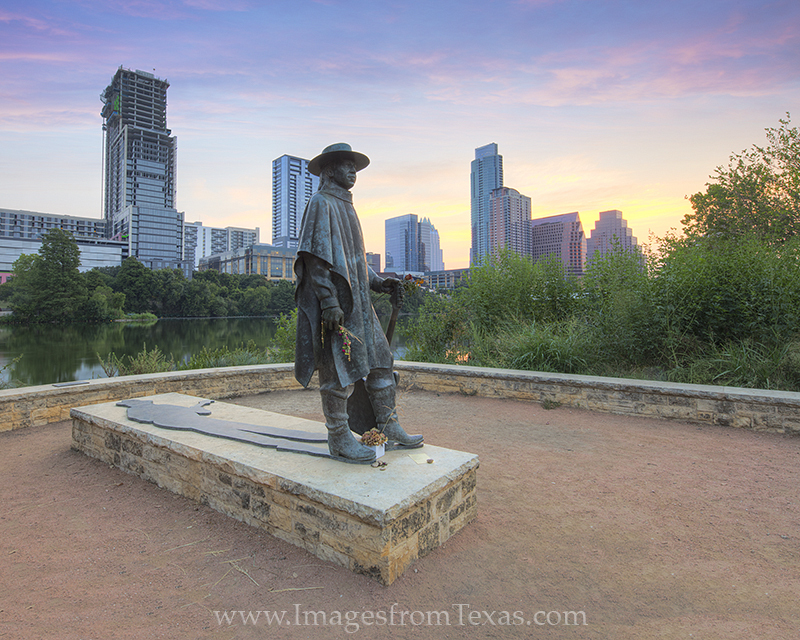 The statue of Stevie Ray Vaughan stands along the shores of Lady Bird Lake with the Austin skyline in the distance. The statue pays tribute to whom critics refer to as one of the most influential electric blues guitarists in music history. Though he was born in Dallas, Vaughan moved to Austin in 1971. Unfortunately, his life was cut short when he perished in a helicopter crash in 1990 at the age of 35. Photo © copyright by Rob Greebon.